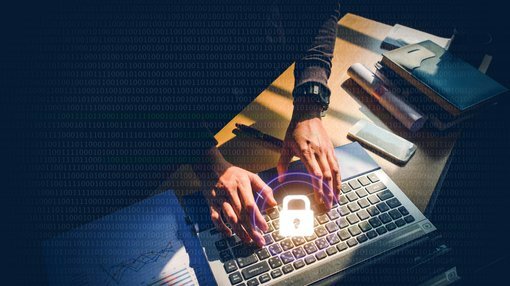 WhiteHawk Limited (ASX:WHK) today announced that it has signed two new proof of value (POV) cybersecurity contracts. While the details of each customer and the commercial terms remain commercial in confidence given the nature of the risk reviews, WHK has revealed that the contracts signed are with major players within the US east coast utilities and US national healthcare sectors. Each POV contract is for up to 40 of the customers’ supply chain companies (vendors) initially, with potential second stages involving over 1000 vendors — at an average potential revenue of $1500 to $5000 per vendor. The utility sector customer is managing a power grid that provides services to over 20% of all US electricity customers and brings in over US$30 billion in revenues each year. In this initial stage, the contract involves up to 40 vendors with the potential to move to a second stage involving over 1000 vendors in 2019. The utilities’ industry is projected to spend US$1.7 billion on cyber security in 2017 according to Smart Energy International. Today’s announcement comes after WHK earlier announced the appointment of Salmon Ventures as a utility sector partner. WHK's latest customer channel focus is on the 3200+ power and water utilities across the US (regional power associations, regulators, and larger private utilities) who are all searching for how to gain continuous insight into and to address their cyber related risks. As the utilities sector provides critical national infrastructure, identifying, tracking and addressing supply chain software and service vendors’ cyber risks is a critical. The healthcare customer is a US nationwide non-profit organisation that needs to be able to identify and track cyber risks from their supply chain vendors and protect the sensitive HIPPA information they are intrusted with. HIPPA, or the Health Insurance Portability and Accountability Act, is a US law providing privacy standards to protect patients' medical records and other health information. WHK will initially undertake up to 40 supply chain vendor reviews and can move to a second stage thereafter. The healthcare sector is an important customer for WHK as the global cybersecurity market for healthcare is expected to reach close to US$11 billion by 2022, according to Grand View Research, Inc. The importance of adequate cybersecurity in the healthcare sector was highlighted recently with the WannaCry cyber-attack on the UK’s National Health Service (NHS), which resulted in expensive emergency measures and the UK spending over £150 million in additional cyber security protection in response. For each of these new contracts, WHK will undertake a risk rating and analysis scorecard on each vendor company to provide a risk snapshot back to the prime customer. This helps the prime customer to reprioritise and monitor their most critical vendor companies in their supply chain and streamline their third-party management program. The process drives vendors that are in a prime company’s supply chain to WhiteHawk's Cybersecurity Exchange, to mitigate key cyber risks in real-time. Some of the current pipeline companies have supply chains of more than 5000 companies. The company is now well placed to capture more contracts in both the healthcare sector and utilities with critical infrastructure, which have been the target of cyber-attacks. In addition to the healthcare and utilities sectors, WHK has a large pipeline of contracts in the US Government department space, financial sector, US Defense sector.